So this is it - my last day of being pregnant. And is it still weird to say that it feels quite surreal? That 39 weeks have past since this little being started to grow inside of me? It has gone quickly and I am so grateful for the easy pregnancy that I have had. What a miracle this whole process is. And the best part? Is that the best part hasn't even happened yet - that's tomorrow when we get to meet our little munchkin. We get to hold him for the first time, hear him take his first breath and scream the place down. The first time we will change his nappy, feed him, cuddle him, comfort him. The first photos, the first meetings with family, the first sleepless night. What a journey we have ahead of us. Looking back at all the pictures we have taken, I am so glad we decided to record the past 9 months. It is so special to be able to look back and see my body change and my belly swell. I mean is it really 7 months ago that we were announcing we were pregnant? It never ceases to amaze me how fast time goes, especially now that I am getting older. I am 27 in a couple of weeks. 27 years old? That is so grown up! But I just feel the same as I did when I was 20, maybe a bit wiser but just the same. Anyways, I digress. As I sit and write this post at 5:43am (I can't sleep), I want to remember my swollen belly, the little kicks and squirms inside me. The (endless) hiccups this little guy had and just the feeling of anticipation of what is to come. I love looking forward to things and thinking "this time tomorrow or this time next week". Life as we know it will change forever. For the better. We are booked in for a C-section tomorrow (early) afternoon, the 14th January. I won't lie, I am very nervous but wow I cannot wait to meet baby Choudhry and I know Mani is SUPER excited too. This week, I will also be posting some pictures of the nursery - we are so chuffed with how it has turned out. 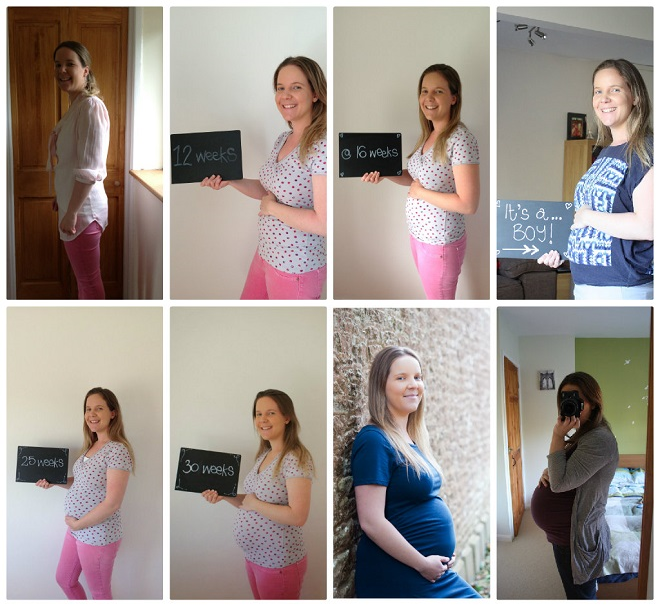 Want to see all my updates through my pregnancy? Just click here. I'll be keeping you in my thoughts! Good luck, momma!